Concept art based on “The Doom That Came to Sarnath”, H.P. Lovecraft’s short story. For realising it I downloaded and merged several free models from 3D Warehouse and TF3DM.com and textures from 3DTotal.com. I rendered the scene using Vray. 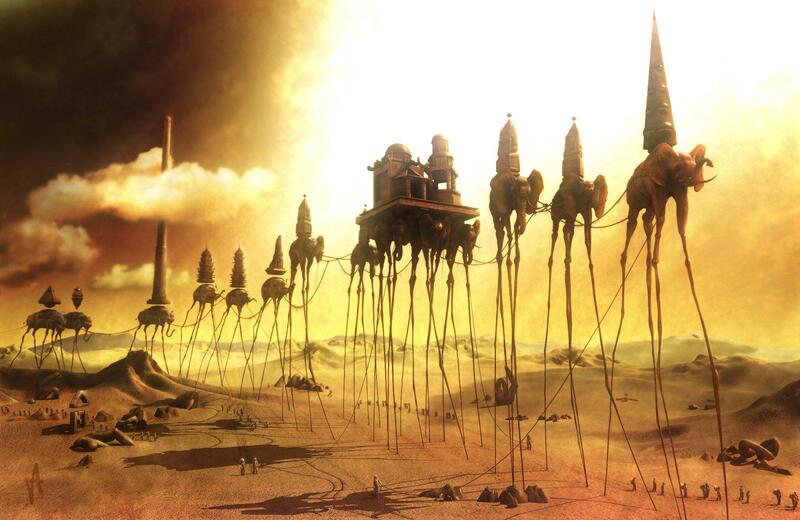 Inspirations include Dali’s ‘Caravan’ and Deep Purple’s ‘Stormbringer’ cover. “The wonder of the world and the pride of all mankind was Sarnath the magnificent. Of polished desert-quarried marble were its walls. 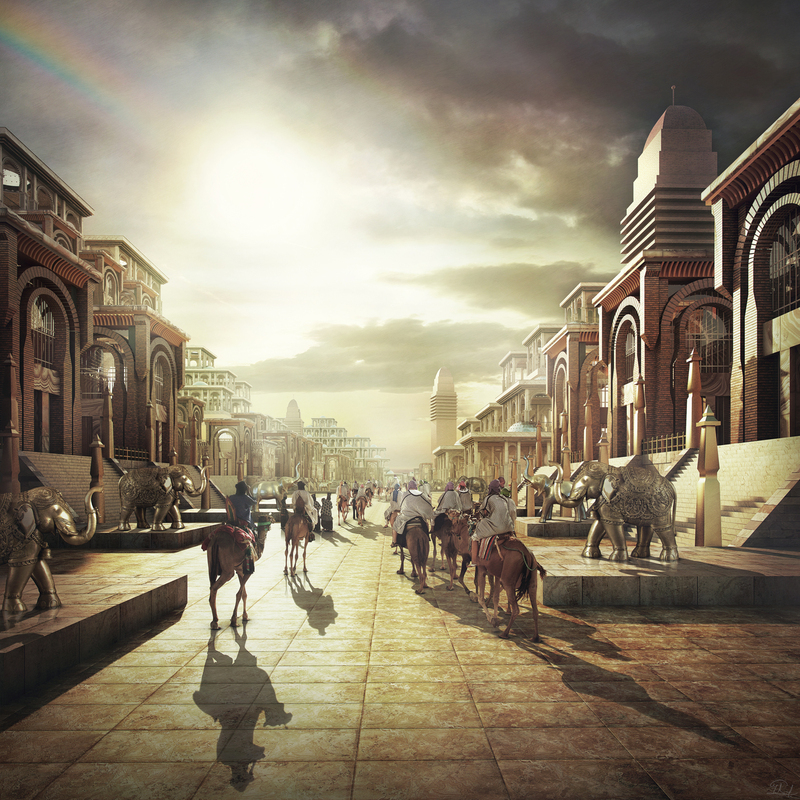 […] In Sarnath were fifty streets from the lake to the gates of the caravans, and fifty more intersecting them. With onyx were they paved, save those whereon the horses and camels and elephants trod, which were paved with granite. And the gates of Sarnath were as many as the landward ends of the streets, each of bronze, and flanked by the figures of lions and elephants carven from some stone no longer known among men. The houses of Sarnath were of glazed brick and chalcedony, each having its walled garden and crystal lakelet. But more marvellous still were the palaces and the temples, and the gardens made by Zokkar the olden king. There were many palaces, the least of which were mightier than any in Thraa or Ilarnek or Kadatheron. So high were they that one within might sometimes fancy himself beneath only the sky. Many were the pillars of the palaces, all of tinted marble, and carven into designs of surpassing beauty. This entry was posted on September 7, 2015 by Marcus Crassus. It was filed under Alien Worlds, Digital art, H. P. Lovecraft and was tagged with 3DTotal, Concept Art.